The main body ECU will store this DTC when no signals can be received from the ECUs that have been memorized as those that are connected to the CAN MS bus. 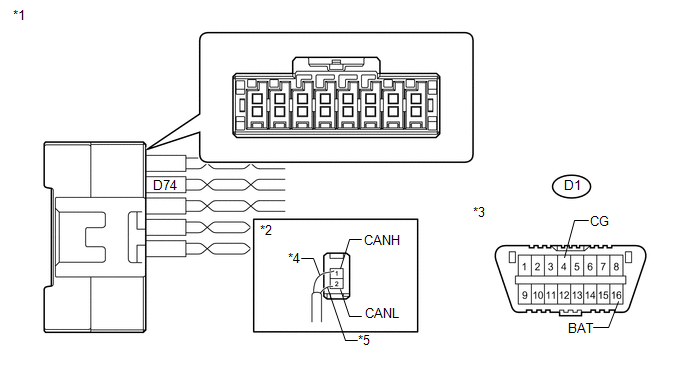 When the main body ECU receives a response signal from the ECUs connected to the CAN MS bus, the main body ECU recognizes and memorizes that the ECU is connected to the CAN MS bus. 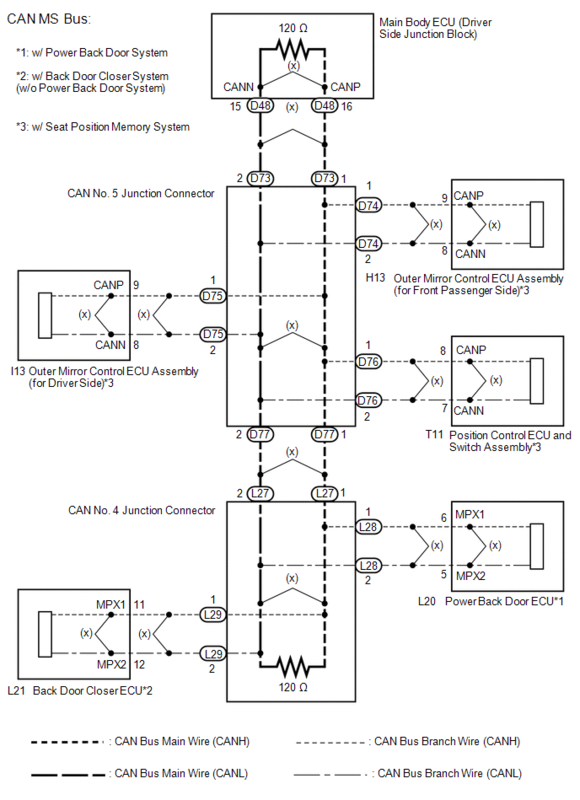 Based on this memorized data, the main body ECU monitors for malfunctions in the ECUs connected to the CAN MS bus when communicating with those ECUs. If the main body ECU cannot receive response signals from the ECUs that have been memorized as those connected to the CAN MS bus, the main body ECU determines that a malfunction exists. Main body ECU cannot receive signals from all ECUs that have been memorized as those connected to the CAN MS bus. (a) Disconnect the CAN No. 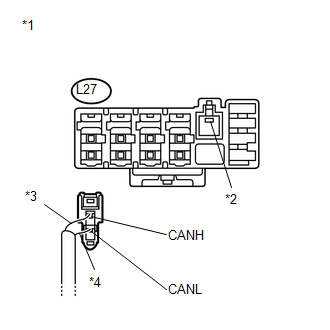 4 junction connector (L27). (a) Reconnect CAN No. 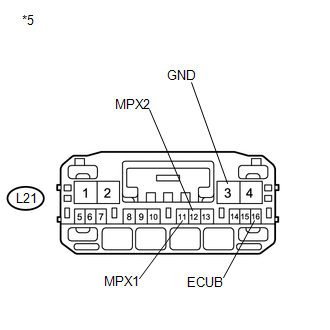 4 junction connector (L27). (b) Disconnect the CAN No. 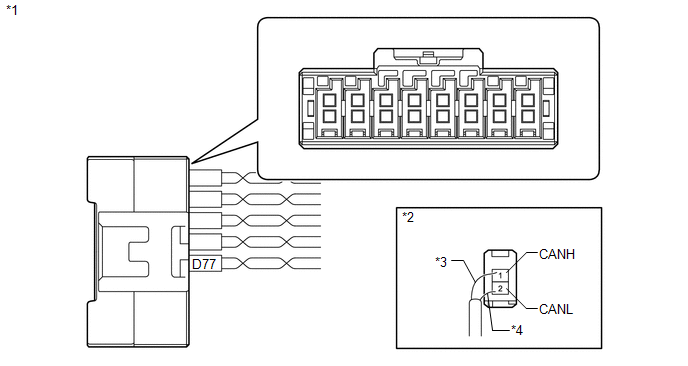 5 junction connector (D77). (a) Disconnect the CAN No. 5 junction connector (D73). (a) Reconnect the No. 5 junction connector (D73). 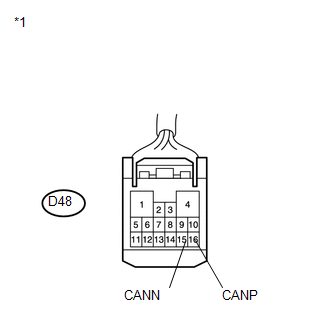 (b) Disconnect the main body ECU connector (D48). (b) Disconnect the CAN No. 4 junction connector (L27). It is only necessary to perform the inspection in the above table for the result (open or short circuit) that was obtained in the Check CAN MS Bus Wire inspection. Find the necessary inspection from the Purpose column that matches the result in the Result column from the Check CAN MS Bus Wire inspection. (a) Reconnect the CAN No. 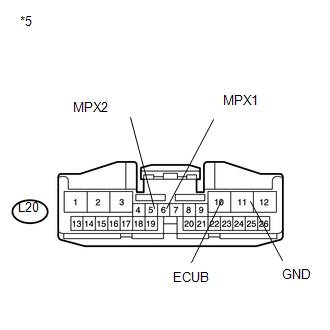 4 junction connector (L27). 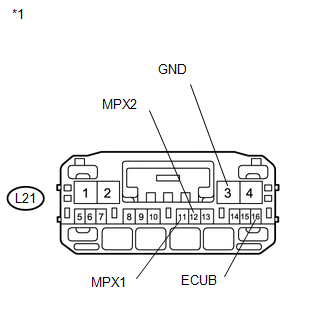 (b) Disconnect the power back door ECU connector. (a) Disconnect the CAN No. 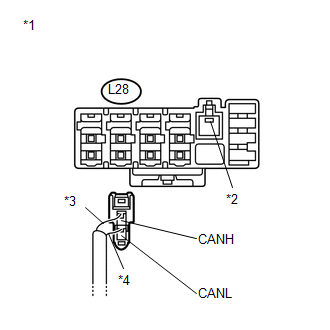 4 junction connector (L28). (b) Disconnect the back door closer ECU connector. (a) Disconnect the CAN No. 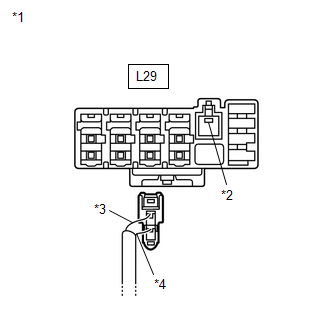 4 junction connector (L29). (a) Disconnect the CAN No. 5 junction connector (D76). (b) Reconnect the CAN No. 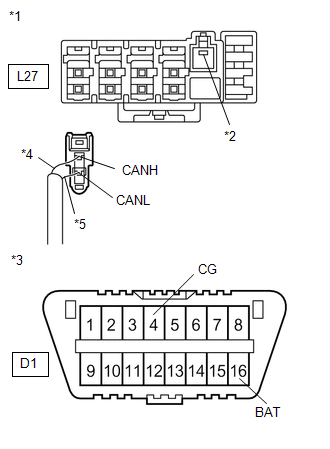 5 junction connector (D77). (a) Disconnect the CAN No. 5 junction connector (D75). (a) Disconnect the CAN No. 5 junction connector (D74). (a) Reconnect the CAN No. 5 junction connector (D76). 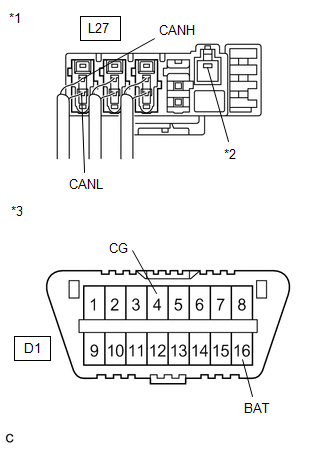 (b) Disconnect the position control ECU and switch assembly connectors (T10 and T11). (a) Reconnect the CAN No. 5 junction connector (D75). 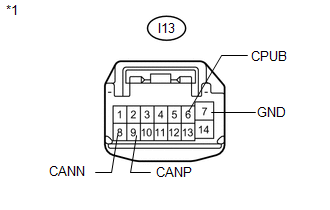 (b) Disconnect the outer mirror control ECU assembly connector (I13). (a) Reconnect the CAN No. 5 junction connector (D74). (b) Disconnect the outer mirror control ECU assembly connector (H13). (a) Reconnect the CAN No. 5 junction connector (D73).